Why can’t I use a mechanical pencil on the ACT or SAT? That’s right—you can’t use a mechanical pencil on the ACT. 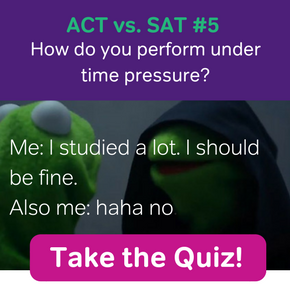 Or the SAT. Or, in fact, a lot of standardized tests. For the SAT and ACT, however, using a mechanical pencil may put your score in peril. The machines that the test-makers use to mark the score sheets don’t pick up on the markings. This means that they won’t count your answers, even if they’re right—because they can’t see your answers. The same goes for pens. To be safe, always use a good old No. 2 pencil. Make sure it has a good eraser, too! Why No. 2, though? Would using a mechanical pencil really make that much of a difference? Yes. The short answer is that you can’t use a mechanical pencil on the SAT or ACT because answer sheet scanners are specifically calibrated to detect the marks made by a No. 2 pencil and mechanical pencils are not always regulated as No. 2. In addition, they are thin and prone to breaking, which means your marks may not be as readable as the thicker, darker marks you can achieve with an old-school number 2 pencil. The SAT and ACT scoring machines need to process score sheets fast, which means any variation might delay the process. So take their word for it and use a wooden #2. But the long answer is far more interesting…. “Number one pencils EXIST? !” I asked my friend Crystal with confusion. She had just failed an exam because she used a number 1 pencil to fill in the bubbles. It turns out, there are actually a whole scale of different pencil types, though many of us are only familiar with the trusty yellow No. 2. All of you artists are familiar with the wide range of pencils, both graphite and charcoal, that are best for different kinds of sketching and drawing. But for the rest of us, it might be a surprise that there are more kinds of pencils than just yellow, Hello Kitty, or random logo from your mom’s office. All of these many different pencil numbers (and letters!) have varying degrees of darkness and hardness when they mark on paper. Pencils are made with graphite mixed with a little clay to hold the graphite together. With less clay mixed in, the graphite tube in the center of the pencil is much softer…which means that the mark is darker, but also smudgy. Adding more clay to the blend makes the pencil harder. A harder pencil can be sharpened to a finer point, but because there is less graphite in the graphite-clay blend, the pencil makes a much lighter mark on the page. So, I present to you the No. 2 pencil: the perfect balance between dark enough graphite and hard enough clay. But what’s the problem with mechanical pencils? “My mechanical pencils DO use No. 2 graphite!” you might be shouting in my general direction. First of all, it’s often much harder to figure out whether or not the graphite in a mechanical pencil is actually No. 2. Many mechanical pencils don’t include any kind of identification. However, even those mechanical pencils that claim to use No. 2 arrive in those very thin, easily breakable cylinder shapes. The never-dull, constantly sharp fine point that makes mechanical pencils so appealing, also make mechanical pencils more prone to breaking. But more importantly, they actually cause you to take longer filling in bubbles on an answer sheet! In fact, even regular wooden pencils are best for scantron sheets when they are just slightly dull. Slightly dull pencils make a wider mark on paper, allowing you to fill in bubble much more quickly than with a thin line. Even if mechanical pencils were allowed for use on the SAT and ACT, you’ll actually save yourself some precious time on the SAT or ACT by using a regular pencil instead of a mechanical pencil! 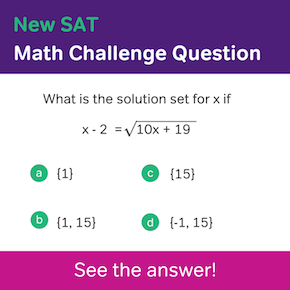 In order for your SAT and ACT scores to mean anything to college and university admissions, they must be comparable to other students’ scores. So, for the SAT and ACT to make sure they provide a fair and accurate testing process, they need to control as many variables as possible. Those variables include dates, time, and even materials! 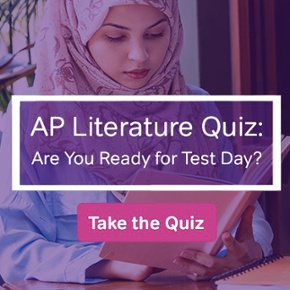 Everyone takes the test on the same test day, gets the same amount of time for each section, and uses the same test booklets and answer sheets…and pencils. 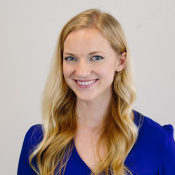 In order to ensure the best accuracy, test proctors are trained to look specifically for things like mechanical pencils and ask you to put them away before the start of the test. Most answer sheet scanners are specifically calibrated to detect the marks made by a No. 2 pencil. Since the SAT and ACT must grade so many answer sheets, the machines they use need to be as fast as possible. One way of ensuring speed is to use the exact same tools for every single exam. Plus, If the SAT and ACT are only grading the exact same size and weight of paper with the exact same kind of marks, it is much less likely that misreading errors will occur, and accuracy is an even more critical factor than speed! “But I bet I can get away with it!” you might be protesting. You might have heard rumors of test takers using other grade pencils, mechanical pencils, pens, or even colored pencils, with no errors. While other tools miiiight slide through undetected and still produce some correct answers, it’s an unnecessary risk you don’t need to worry about. Using anything other than the recommended tool just isn’t smart! 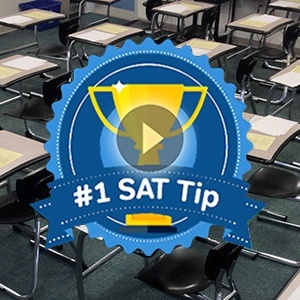 If someone told you an easy way to get a higher score on the SAT or ACT, you’d listen, right? Using the recommended tool is a very easy way to ensure a more accurate score. SAT or ACT test day is not the time to test the boundaries of what you can get away with. It’s much better to be safe than sorry on something as important as the SAT or ACT. Don’t throw away your shot at a great score with the wrong pencil! When Crystal accidentally used a #1 drawing pencil to fill out her scantron sheet, the machine wasn’t calibrated to read her responses. Due to the misreading errors on almost every line, the machine produced a very low grade. Of course, Crystal’s teacher realized that the scanning machine hadn’t properly read the answer sheet, and Crystal was able to retake the exam. But, that won’t happen on an ACT or SAT. Once your answer sheet is scored, you’re stuck! Don’t potentially lower your score with a misread answer sheet when the SAT and ACT have already told you exactly what you need to use. Happy penciling! *If you’re curious, here’s an approximate conversion from letter to number pencil grades: #1 = B, #2 = HB, #2½ = F, #3 = H, #4 = 2H. This is fascinating! I’ve kinda wondered about this since middle school and I had no idea the answer was so nuanced! I took the NYC specialized high schools admissions test (SHSAT) and they prohibited the use of mechanical pencils because of the fear that the test takers would stash notes/cheats inside of them. I accidentally used my mechanical pencil for a long time on one portion, but afterwards I used my normal wooden #2 over all of the answers. Will I be okay?